Join the annual Relay For Life of Middlebury on April 28th from noon – 6:00 p.m. on Battell Beach (behind Battell Residence Hall) for an afternoon with games, live entertainment, food, and most importantly, to raise money for the American Cancer Society! We encourage people to make a fundraising page in advance and will also be collecting donations and registration fees ($10 per person) at the event. The $10 fee includes food, games, and entertainment, with some activities (bounce house, carnival games) requiring tickets that can be purchased for an additional cost. Faculty and staff member’s families and children are encouraged to attend as well! Questions? Contact Alli Martin and Beth Neal, relayforlife@middlebury.edu. 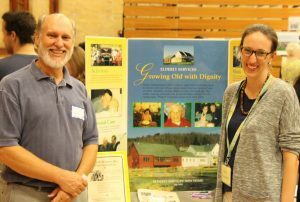 This entry was posted in Midd Blogosphere and tagged Midd News & Events, Midd Points on April 4, 2019 by J. Ashley Laux. This entry was posted in Midd Blogosphere and tagged Midd News & Events, Midd Points on February 25, 2019 by J. Ashley Laux. 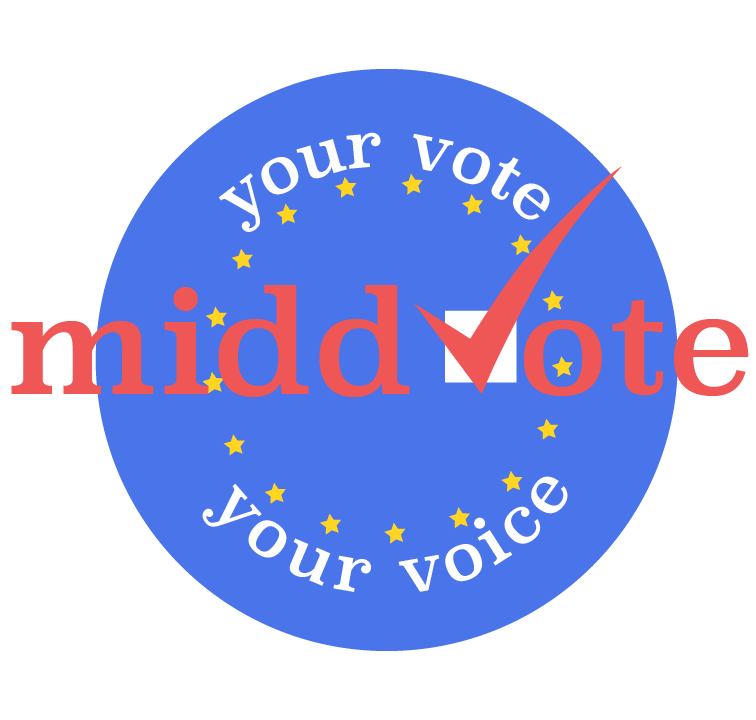 The CCE and MiddVote are hosting a van shuttle to Middlebury’s polling location at the Town Offices on the hour, every hour between 8:00 a.m. – 6:00 p.m. on November 6th for Middlebury voters looking for a quick and easy way to get downtown and vote on Election Day! Meet at Adirondack Circle and the shuttle take you to the Town Offices and back again after voting. More information about voting in Middlebury here, the polls are open 7:00 a.m. – 7:00 p.m. More information about registering to vote and voting in Vermont can be found here. Registration is available during all normal business hours of your town or city clerk’s office on days preceeding the election and during polling hours on Election Day. 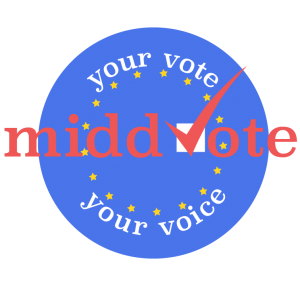 The CCE and MiddVOTE are hosting a community event from 4:00 – 6:00 p.m. on November 6th at College Park (across from Shafer’s Deli). Our #VoteTogether event will celebrate civic pride and encourage greater participation in the upcoming midterm election. Stop by to enjoy free hot chocolate, free pizza, face painting for children and more. This event is part of #VoteTogether, a national initiative to bring together families, friends and neighbors in celebration of civic engagement and the act of voting. This entry was posted in Midd Blogosphere and tagged For Faculty, For Staff, Midd News & Events, Midd Points on October 29, 2018 by J. Ashley Laux. Faculty and staff members and their families are warmly invited to participate in the student organization Relay for Life’s second annual 5k Color Run. The run will take place this Sunday 10/7 from 10:30 a.m. – 12:30 p.m. Stop by Ross Dining Hall, pay your participation fee ($15), pick up your T-shirt, and run/walk at your pace with your family! This month is Breast Cancer Awareness Month, so we encourage folks to wear pink. Looking forward to seeing everyone there. Meet at Ross Dining Hall; run loop around campus. Questions? Contact relayforlife@middlebury.edu. This entry was posted in Midd Blogosphere and tagged For Faculty, For Staff, Midd News & Events, Midd Points on October 2, 2018 by J. Ashley Laux. 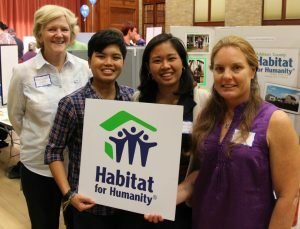 Attend the MiddAction Volunteer Fair 9/14 4:30 p.m.
We welcome faculty and staff members to attend the MiddAction Volunteer Fair on Friday, September 14th from 4:30 – 6:00 p.m. on the lawn outside of McCullough Student Center. Rain location Kenyon Arena. Representatives from over 40 community partners including local non-profits, schools, and governmental agencies are coming to campus to share opportunities to become involved with activism, volunteering, social justice, and service-learning activities. 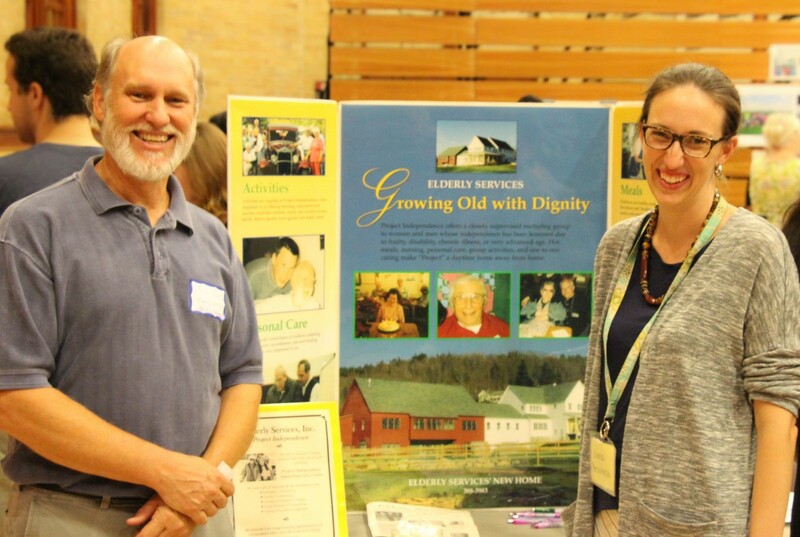 Connect with community partners related to your curriculum or research, become more engaged within Addison County, and network with civic-minded colleagues and students. Program areas represented will include education, youth mentoring, environment, emergency services, public health, food security, housing support, and poverty alleviation. This year’s event is co-hosted with the Student Activities Office in a combination pilot with the Student Activities Fair so it will be a bustling event! Students from over 140 student organizations will be tabling to recruit new students to join their organizations. This entry was posted in Midd Blogosphere and tagged For Faculty, For Staff, Midd Points on September 4, 2018 by J. Ashley Laux. The Center for Community Engagement is seeking a 2018-2019 AmeriCorps VISTA member to join our team and we would love if you could share this announcement with your networks including graduating college seniors, recent alumni, or other individuals who might be interested in spending a year of service to work with college students and local youth! Do you love working with and for kids? Interested in social justice work at the youth development level? 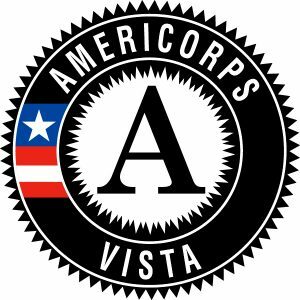 Come join the Middlebury College Center for Community Engagement (CCE) as a Vermont Youth Tomorrow AmeriCorps VISTA member in Middlebury, Vermont! This VISTA supports youth and mentoring programs advised by the CCE by offering guidance on best practices to groups, deepening relationships with community partners, providing volunteer screening and support, and more! We seek a motivated and compassionate individual for a one-year position beginning August 2018 to work closely with the CCE team and help coordinate eight youth and mentoring programs advised by our office. More information here. 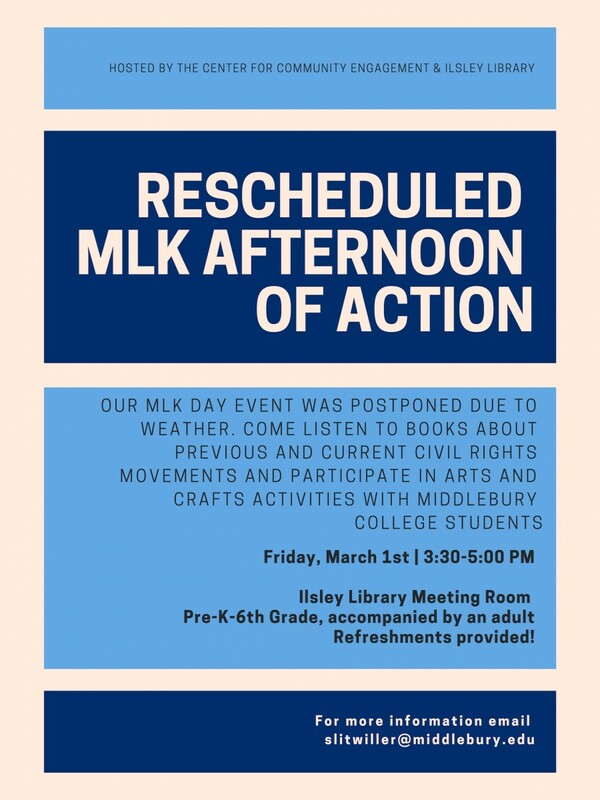 Feel free to contact CCE Program Director Ashley Laux, alaux@middlebury.edu with any questions. 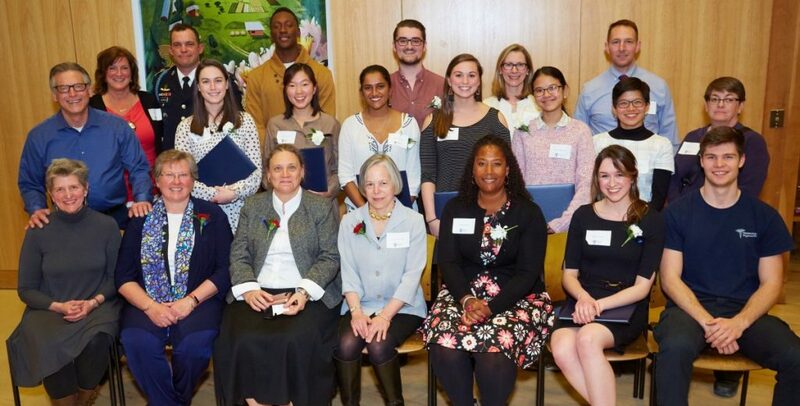 This entry was posted in Midd Blogosphere and tagged For Faculty, For Staff, Midd News & Events, Midd Points on May 21, 2018 by J. Ashley Laux.